Facts stifled for 50 years revealed at last! 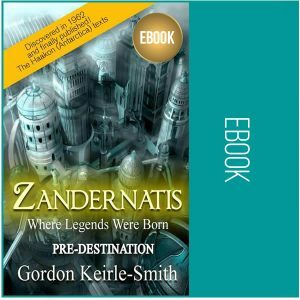 This second (standalone) book in the Zandernatis Trinity is an excellent place to start discovering the world of “Zandernatis” – Where Legends Were Born. These books “retell” the epic “Song of Gorin“, one of the many texts contained in the mysterious “Haakon Urns” discovered under the Antarctic ice in 1962 and kept under wraps until now. The documents, dating back to a pre-glacial era when Antarctica was in more temperate latitudes, reveal the existence of a world whose peoples laid the foundations of all the myths and legends that have persisted in our collective consciousness ever since. These include legends of the Fall and tales of an enigmatic angel civilization. In a heroic quest to find the heir to the winged throne of Zandernatis, Gorin sets out to cross the terrifying Forest of Dissemblance and Deserts of Jerah in the company of an archetypal guide upon which all of our Unicorn lore is based. As in the previous volume, the ancient narrative is accompanied by robust corroborative evidence and compelling endorsements from researchers, the media and eminent experts, despite unrelenting efforts from the establishment to block publication. “Legends” can finally be seen in their true perspective! Substantial “retold” extracts from the epic “Song of Gorin” saga– one of the few narrative documents contained in the Haakon Urn writings. 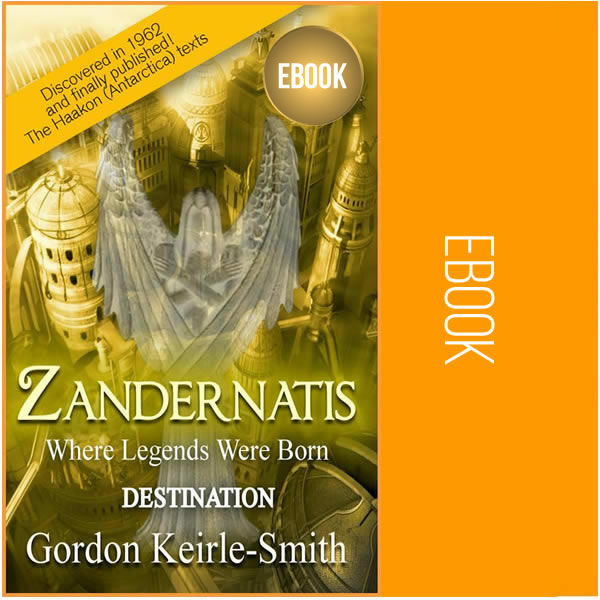 In “Destination” Gorin braves the dangers beyond the Paradise Garden in his quest for the heir to the winged throne of Zandernatis – and meets the legendary “Architects of Civilization”. 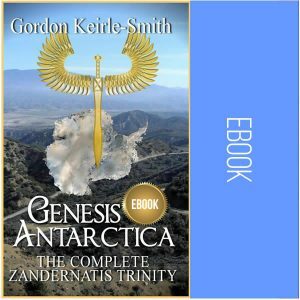 Based on the British Antarctic Survey, researchers identify the probable location of all the places and landmarks described in “Zandernatis”. Transcription of a BBC 2 television interview with Professor J. Harkwood in which he explains why he is so adamantly opposed to the Haakon Urn texts being published as “cheap sensationalism for the masses”. 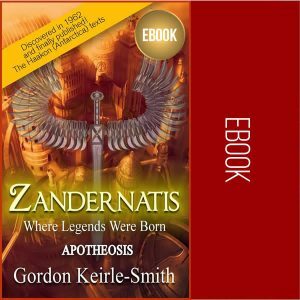 A fascinating insight into “Zandernatis and the origins of archetypes”. All of this is contained in a single work – defining the format of this new genre: the meta-realist allegory. This work puts forward a viable alternative to the Genesis, Garden of Eden, Adam and Eve, Fall of Man myth. In particular, we discover that reincarnation and recollection of previous lives played an important role in Zandernation society. As a result this was the only civilization in the history of the world that did not need religions, Gods, priests, temples or any other places of worship. Zandernatis is a redefinition of “utopia” that can also set us on a path of self-discovery, opening our potential to see beyond the “here and now”, discover the “there and then” and ultimately catch a glimpse of the eternal NOW.